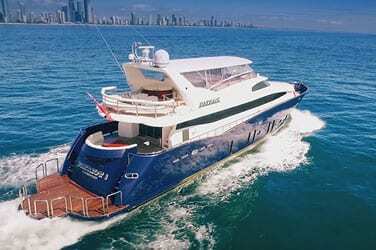 Operating since 2007, Waterline Charters is a luxury charter yacht company operating from the Gold Coast in Australia. Waterline Charters operates two luxury charter yachts ranging in design, capacity, price and location; Phoenix One and Patriot 1. With a diverse range of locations and unique experiences on offer Waterline Charters offers the ability to tailor your charter to your specific needs. We are passionate about what we do, and love to create special experiences for our guests. 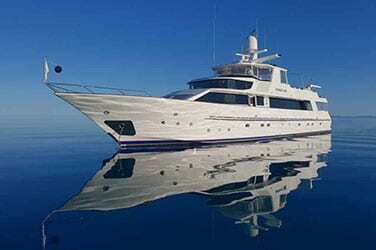 Our crew are experienced and knowledgeable offering you exceptional and friendly service. We believe that our marine environment is one of our most valuable assets and we are committed to business practices that support and protect it. Australia offers some of the world's most incredible charter locations, combined with our team and our yachts we are sure you will have an unforgettable luxury charter yacht experience with us. Our mission is to provide our clients with an exceptional luxury charter yacht experience from booking to disembarkation, through premium service and products tailored to their needs and desires.